The wholesale satellite telecommunications provider has announced that it will launch up to 200 nano-satellites from 2018 in partnership with Virgin Galactic. Australian Securities Exchange-listed telecommunications company Sky and Space Global has announced signing a letter of intent with Virgin Galactic to use its vehicle LauncherOne to launch up to 200 nano-satellites into space from 2018. According to Sky and Space, using Virgin's LauncherOne will provide significant cost savings, as several satellites can be launched at once, in addition to flexibility in terms of launch timelines and orbital parameters. "Virgin Galactic is a truly global company with significant resources and support, and this agreement is the first step in what we believe will be a long-term relationship, and it provides Sky and Space Global a genuine and highly sought-after opportunity," Sky and Space Global CEO Meir Moalem said in a statement. PARIS – Satellite fleet operator Eutelsat on June 27 unveiled a strategy to mitigate the effects of market headwinds including the free-fall in data services prices by reducing investment outlays, refocusing is government market pitch and doing away with some third-party distributors of its core European Hot Bird capacity. A month after surprising the market with a revenue and profit warning that sent its own stock and that of much of the industry into a tailspin, Paris-based Eutelsat said it was battening down its hatches to survive a rough two- to three-year period. United Launch Alliance’s Atlas V rocket returns to action Friday after a close call three months ago, when its main engine quit firing six seconds too soon. The early shutdown imperiled a launch of International Space Station supplies that reached orbit safely thanks to an extra minute of work by the rocket’s upper stage. ULA says it has fixed a valve problem that restricted fuel flow on that March 22 flight, leaving a significant amount unused. The United Launch Alliance rocket launched the h Mobile User Objective System (MUOS-5) satellite for the Unite States Navy. It launched from Cape Canaveral's Space Launch Complex-41 on June 24, 2016. PARIS — The British vote June 23 to leave the European Union is likely to occur gradually over two years, but it raises multiple immediate questions about the consequences for Europe’s space programs and Britain’s role in them. — More than three-quarters of Britain’s space spending is sent to the 22-nation European Space Agency, which is not a European Union organization. ESA Director-General Johann-Dietrich Woerner has said that for ESA programs, Brexit should have little or no impact. In an interview with Handelsblatt, Rupert Pearce, the head of British satellite telecommunications company Inmarsat, said a Brexit would cause his firm and others to consider relocating and could have a "negative domino effect for the E.U." Handelsblatt: Mr. Pearce, on Thursday Great Britain will decide on whether or not to leave the Europe Union. How great would be the impact of an exit be on your company? Rupert Pearce: We are very much an international company that does business with over 200 countries around the world. There are people who jokingly call us the United Nations of the Satellite Industry, since we were founded as a U.N. organization in 1979 to help save lives at sea. That won’t change even if there should be a Brexit. However, in that case, we would re-evaluate our base, with headquarters in London, which primarily pays taxes in Great Britain. So you would question being based in London? Every major company that has its headquarters in London and has a large amount of international business that is dependent to a certain degree on international trade will, in my opinion, have to ask itself that question – and think about whether or not to leave its headquarters in London. Of course, that will very strongly depend on whether, should there be a vote for a Brexit, the British government then succeeds in entering into fundamental, new agreements with the most important trading partners – but that naturally remains to be seen. It could be that it all won’t be an issue – or it could be a huge problem. SEATTLE — NASA is moving ahead with a key review of its controversial asteroid mission in July, and plans to soon thereafter solicit payloads and investigators for its robotic element, despite uncertainty about the mission’s future in Congress. In a June 22 presentation at the NewSpace 2016 conference here, Michele Gates, NASA program director for the Asteroid Redirect Mission (ARM), said the mission’s robotic portion is on track for a July 15 review known as Key Decision Point B. This review is to determine if the mission is ready to proceed into a further design and technology development phase known as Phase B. That will further refine the mission concept and lead to official cost and schedule estimates for the mission. NASA stated earlier this year it’s now planning to launch the robotic mission in late 2021, a year later than previous estimates, at a cost excluding launch and operations of no more than $1.25 billion. Inmarsat, Cobham SATCOM and MultiSAT—Globalsat Group, have hosted a series of seminars to showcase the capabilities of Inmarsat’s Fleet Xpress service to the Latin American market for the first time since its launch. The seminars were conducted in Ciudad del Carmen, Campeche, Mexico, and focused on the maritime and offshore markets in the Gulf of Mexico; and in Mazatlan, Sinaloa, targeting the industrial fishing sector operating in the Pacific Ocean. These events attracted maritime owners and operators together with distribution partners and installers. Fleet Xpress, based on Inmarsat’s new Global Xpress (GX) satellite constellation, is the first globally available, high-speed broadband solution for the maritime market. SEATTLE — A former NASA manager of the International Space Station announced June 22 that he is starting a new venture that eventually plans to develop a private space station. In a presentation at the NewSpace 2016 conference here, Mike Suffredini, president of the commercial space division of Stinger Ghaffarian Technologies (SGT) who joined the company shortly after retiring from NASA last September, said he has co-founded a new company that initially will seek to install a commercial module on the ISS. That module would serve as a precursor for a private facility once the ISS is retired. “We intend to work on a low Earth orbit platform to follow the International Space Station,” he said. The International Space Station (ISS) crew have successfully landed back on Earth aboard Russia’s Soyuz spacecraft capsule after spending more than six months in space. Expedition 46/47 members European Space Agency (ESA) astronaut Tim Peake from Britain, NASA’s Tim Chopra and Russian cosmonaut Yuri Malenchenko began their journey home Saturday morning, undocking from the ISS at 0551GMT. 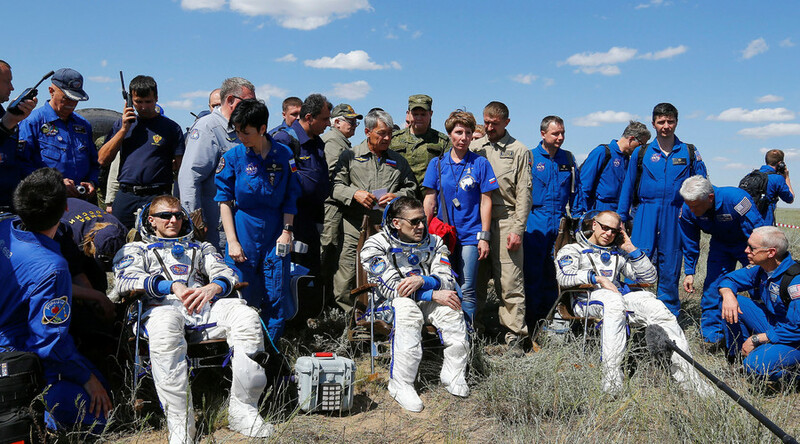 The astronauts landed in south-central Kazakhstan at 0915GMT after spending 186 days on the International Space Station (ISS). The return journey involves a bumpy ride back through the Earth’s atmosphere. The Soyuz split into three parts after the “deorbit burn,” causing the orbital and service modules of the spacecraft to burn up on reentry. Globalstar Europe Satellite Services announced that global oil giant Shell has deployed a satellite-based asset management solution in the Netherlands to securely manage its movable assets on land and at sea. By more closely and efficiently managing its high value assets and their associated test certification, Shell has achieved a positive Return on Investment (ROI) on the solution in just three months. The Alltrack track and trace solution, provided by Globalstar’s Dutch-based Value Added Reseller Improvement-IT, incorporates QR codes, Globalstar’s SmartOne satellite asset managers and a cloud-based content management system. Alltrack has been integrated with Shell’s internal mapping software utility to make it easy to precisely locate assets, while geo-fencing confirms that items are in the right place. The solution ensures that equipment test certificates are valid, eliminating paperwork while cutting time and costs as well as speeding up supply chain operations. SpaceX successfully launched two satellites to orbit today (June 15) but couldn't quite pull off its fourth consecutive rocket landing at sea in the process. The first stage of the California-based company's Falcon 9 rocket managed to hit its target — a robotic "droneship" stationed in the Atlantic Ocean, a few hundred miles off the Florida coast — but wasn't able to stick the landing. GILBERT, Arizona — Mobile satellite services provider Iridium Communications on June 14 said the launch of the first 10 second-generation Iridium Next satellites had slipped by another month, to Sept. 12 at the earliest, because of bottlenecks at the Vandenberg Air Force Base spaceport. Iridium Chief Executive Matt Desch said the company still expected to launch all 70 Iridium Next satellites, on seven SpaceX Falcon 9 rockets, by late 2017. Addressing a briefing here originally scheduled to mark the shipment of the first two satellites by truck to the launch base – the shipment will now be delayed a couple of weeks – Desch said satellite production and SpaceX readiness both had been ready for an August launch. Tim Peake did 80 rapid-fire somersaults aboard the International Space Station (ISS) in an attempt to make himself dizzy — a plan the British astronaut joked could be the "worst idea I've ever had." "Something that happens when astronauts first come into space is that they usually feel pretty rough for about the first 24 hours," Peake said before starting the experiment. This is because the body's vestibular system gets confused in space, he added. The fluid in the middle ear floats in microgravity, which doesn't jibe with the signals the eye sends to the brain, he explained. Moon Express and SpaceIL are the only two Google Lunar Xprize competitors to have produced the verified launch contracts required to stay in the $30 million contest beyond 2016. A third competitor, Astrobotic, promises to have a launch contract secured by the end of the year. Company CEO John Thornton said June 9 that, once Astrobotic fills its manifest, it will secure a launch contract, likely with SpaceX. He said he was considering secondary options from other launch companies, but declined to provide specifics. He also declined to say how close he was to filling his manifest, but that Astrobotic has 10 deals toward “mission one” and is still booking payloads. Google Lunar Xprize is a contest with $30 million in prize money for teams able to land a privately funded rover on the moon, travel 500 meters and transmit back high-definition video and images. The competition is also a race as the first team that successfully completes this mission will be awarded the $20 million grand prize. The second team will be awarded $5 million. MSC Cruises has worked together with Marlink to launch a next-generation connectivity solution for its fleet with multi-band VSAT services. Working with Marlink, MSC Cruises will provide dynamic bandwidth to its 12 existing ships as well as the next-generation ships currently under construction, including MSC Meraviglia and MSC Seaside. PARIS — The Luxembourg government has agreed to purchase up to 49 percent of the equity in asteroid-mining company Planetary Resources’ Luxembourg operations as part of the effort to make Luxembourg the nexus of space-based resource exploitation, an industry official said. An announcement of the agreement was scheduled for June 13 in Luxembourg, the official said. It was not immediately clear what the initial investment level would be beyond taking part in Redmond, Washington-based Planetary Resources’ creation of a Luxembourg operation. Initial costs are likely to be modest, including administrative fees associated with incorporating in Luxembourg. Launch services provider United Launch Alliance (ULA) successfully orbited a payload for the United States National Reconnaissance Office (NRO) using a Delta 4 Heavy rocket on June 11. The national defense mission marks the ninth ULA Delta 4 Heavy mission, currently the world’s largest rocket, which featured a center common booster core along with two strap-on common booster cores. Each common booster core used an RS-68A liquid hydrogen/liquid oxygen engine producing 702,000 pounds of thrust. A single RL10 liquid hydrogen/liquid oxygen engine powered the second stage. Aerojet Rocketdyne constructed both the booster and upper stage engines. ULA constructed the Delta 4 Heavy launch vehicle in Decatur, Alabama. Aeromexico is launching a pilot program to provide complimentary in-flight access to streaming video network Netflix. Netflix members onboard select Aeromexico flights within Mexico, Central and South America will be able to stream Netflix programming on their phones, tablets and laptops at no cost June 17 and through October 17. Gogo’s 2Ku satellite Wi-Fi system, which launched on five Boeing 737-800 aircraft in Aeromexico’s fleet in April, is enabling the in-flight streaming trial. PARIS — An International Launch Services Proton rocket, in the first flight of its latest and potentially final series of upgrades, on June 10 placed the Intelsat 31 commercial telecommunications satellite into geostationary transfer orbit. Despite a problem with the rocket’s second or third stage, one of which apparently underperformed, the Proton’s Breeze-M upper stage was able to compensate with a longer burn sequence to insert the 6,450-kilogram satellite into the correct orbit. Satellite fleet operator Intelsat said the satellite, built by SSL of Palo Alto, California, was healthy in orbit and sending signals after its release, some 15 hours and 31 minutes after liftoff, by the Breeze-M stage. MCLEAN, Va., June 07, 2016 (GLOBE NEWSWIRE) -- Iridium Communications Inc. (Nasdaq:IRDM) announced today that the Iridium CertusSM service will be commercially available in the second quarter of 2017. This next-generation, satellite broadband communications service will serve users and enterprises across all industry verticals delivering a portfolio of global voice and data services. 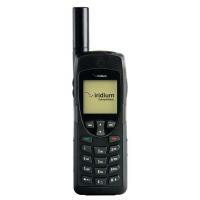 "We are very excited to see this service come to fruition," said Matt Desch, chief executive officer at Iridium. 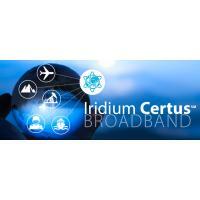 "Iridium Certus is a game-changing new service for users in the maritime, land mobile, aeronautical and government markets in that it will provide unparalleled quality, coverage and performance in a single, multi-service terminal, and at a great value. Iridium Certus is in response to industry demands for alternative broadband solutions that have persisted for several years, and we are looking forward to redefining the mobile satellite market landscape with this launch." WASHINGTON — NASA’s science and space technology mission directorates are considering ways to cooperate with SpaceX on its Red Dragon mission, including flying payloads on that Mars lander. In a June 2 interview during the Next-Generation Suborbital Researchers Conference in Broomfield, Colorado, Steve Jurczyk, NASA associate administrator for space technology, said his office has a “wish list” of technology demonstration payloads they would like to fly on Red Dragon or a future SpaceX Mars mission. “We’ve had very preliminary talks on payloads for the 2018 mission,” he said. However, he added that, with less than 24 months before the launch window for that mission opens, it was unlikely NASA would have such a payload ready to fly in time. Inmarsat andPressReader have partnered to enable people working and living in remote locations to have access to an unlimited newspaper and magazine service. The partnership brings together PressReader, a premium publication solution, and Inmarsat’s global Inmarsat 4 satellite network for readers to access, share and talk about news. “Partnering with PressReader and bringing the app alongside our flat-rate airtime packages will encourage our partners to offer a digital newsstand solution to their customers. Wherever personnel are based, from an oilrig in the sea to a mining camp in a desert, customers can deploy an employee welfare solution in 60 languages by choosing Inmarsat and PressReader. Organizations can also distribute their operational documents to remote sites using PressReader, keeping their employees up-to-date and in-line with regulations,” said Nadeem Khan, head of applications enablement at Inmarsat Enterprise. PARIS — A coalition of 5G terrestrial mobile broadband companies led by Charlie Ergen’s Dish Network on June 8 asked U.S. regulators to strip future low-orbiting satellite Internet constellations of their priority access to 500 megahertz of Ku-band spectrum – spectrum coveted by prospective constellation operators including OneWeb LLC and SpaceX. 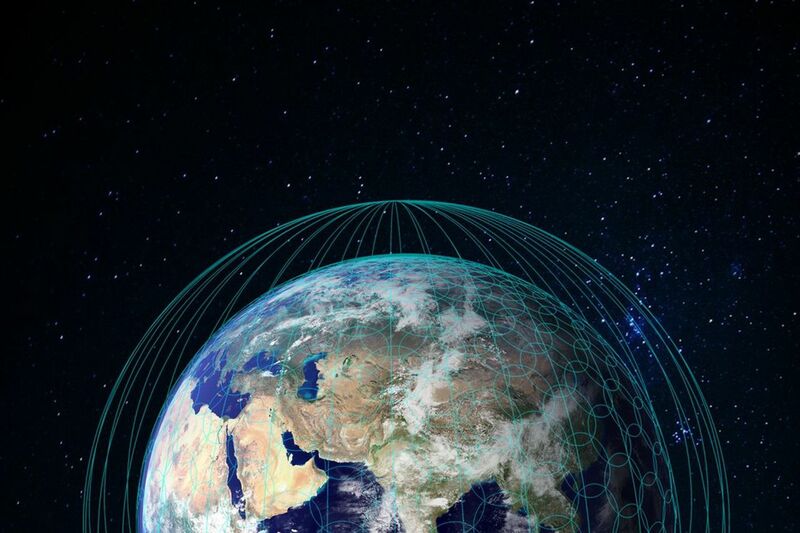 SpaceX and satellite fleet operator Intelsat, a OneWeb investor and partner, immediately filed separate opposition papers to the FCC, arguing that nongeostationary-orbit (NGSO) constellations are very much alive. NASA has awarded The Aerospace Corporation a grant to investigate the possibility of developing an extremely thin spacecraft that would wrap around debris and remove it from Earth’s orbit. The concept, called Brane Craft, is a 1-square meter spacecraft that is less than half the thickness of a human hair. The Brane Craft would only weigh about 50 grams, significantly less than even a standard CubeSat weight of about 1 kg. The 30-micron-thick spacecraft would have a very high thrust-to-weight ratio, and would be capable of travelling long distances, which opens up other possibilities beyond just the removal of space debris. Satellite communications and network service provider SpeedCast has integrated with Inmarsat’s Fleet Xpress service to offer a new service worldwide through the Speedcast global sales network. 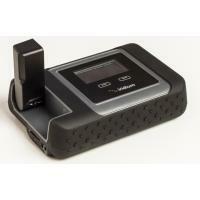 The integration provides SpeedCast’s customers with an alternative solution for their global communication needs. According to Athina Vezyri, vice-president maritime sales and MSS services at SpeedCast, combining SpeedCast’s existing Ku-band, C-band and L-band global services and applications and value added services, represents a “uniquely extensive service portfolio” to cater for the needs of the company’s diverse customer base, including offshore vessels to merchant shipping, yachts, cruiseliners and ferries. Vezyri says there is a clear demand for evolved global maritime networks delivering greater bandwidth and reliable data connectivity driven by crew welfare, regulatory and operational drivers. The liftoff of Flight VA230 has been postponed following an anomaly that occurred prior to the Ariane 5’s roll-out to the launch zone in French Guiana. During preparations for the transfer from the Final Assembly Building to the ELA-3 launch zone, the anomaly involved a fluid connector between the cryogenic upper stage and the launch table. As a result, Arianespace has postponed Flight VA230’s liftoff, initially scheduled for June 8, to replace this component and perform the subsequent verifications. A new targeted launch date will be announced very soon. The launch vehicle and its EchoStar XVIII and BRIsat satellite payloads are being maintained in fully safe conditions and in stand-by mode. Inmarsat Government, a leading provider of secure, global, mission-critical telecommunications to the U.S. government, today announced that it has successfully supported the 2016 Heard Island Project, a multidisciplinary expedition to a remote island in the Southern Ocean. The purpose of this three-week expedition, undertaken by Cordell Expeditions, a nonprofit research organization based in northern California, is to provide new information about Heard Island’s harsh volcanic environment and to validate satellite communications in severe, and extremely isolated, environments in the Antarctic. The Heard Island Project’s goal is to bring technology to challenges of worldwide need and interest. The results from this expedition will help scientists better understand the effects of climate change in polar regions and the ability of models to predict the consequences of actions or inactions in facing this challenge. A total of 22 participants in this year’s Marathon Des Sables extreme running race received rescue services though the use of Globalstar’s Spot Gen3 safety devices. Each of the 1,250 competitors ran the 250 km across the Sahara Desert with a Spot Gen3 on their backpack, allowing MDS race organizers, emergency support teams, sponsors, family and friends to precisely track each runner’s location through a service from WAA Tracking, a Globalstar Value Added Reseller (VAR) partner and geolocation solutions specialist. The one-touch SOS button on SPOT Gen3 gave competitors an easy way to let organizers know if they got into trouble. “This year’s event was one of the toughest we have known, especially the first couple of days which saw extraordinarily high temperatures and fierce winds whipping sand around, reducing visibility and resulting in high levels of dehydration. The Spot Gen3’s real-time tracking and SOS button ensured we could quickly help those competitors who were struggling, reducing the risk of them dropping out,” said Patrick Bauer, CEO of MDS. PARIS—The Luxembourg government on June 3 reaffirmed and strengthened its backing for a homegrown space-mining industry, saying it would invest more than $200 million in research, technology demonstration and in the direct purchase of equity in companies relocating to Luxembourg. In a demonstration of the depth of the political backing the spaceresources.lu project now enjoys, Luxembourg Prime Minister Xavier Bettel and Deputy Prime Minister Etienne Schneider addressed a press briefing following the initiative’s first board meeting. Betel and Schneider were flanked by two spacesources.lu board members, Jean-Jacques Dordain, former director-general of the 22-nation European Space Agency; and Simon Pete Worden, former director of NASA’s Ames Research Center. BROOMFIELD, Colo. — NASA announced June 2 that it has awarded a contract to Blue Origin to perform suborbital research flights as part of the agency’s Flight Opportunities program. Under the indefinite-delivery, indefinite-quantity contract, Blue Origin will be eligible to fly research payloads on its New Shepard suborbital vehicle. The contract has a maximum value of $45 million, although the actual value depends on the number of task orders for research flights awarded by NASA. Blue Origin, which has identified research payloads as one of the key markets for New Shepard, has already been working to attract customers on its own, signing up several “pathfinder” customers who will fly payloads on early test flights. Joining Flight Opportunities, company officials said, opens up another way for those customers to fly on the vehicle. Inmarsat has launched Fleet One Global, a service designed to offer basic voice and data connectivity to the maritime market. Fleet One Global is part of the Fleet One range of satcoms services developed for flexibility, reliability and simplicity, aimed at customers with low data needs looking for basic functionality, greater cost and usage control, with the reassurance of a trusted global commercial satellite network. The plug-and-play service delivers 100kbps voice and data at one global rate, eliminating the need for ship owners to use a patchwork of different providers. Fleet One Global achieves 99.9 percent uptime worldwide, ensuring that ships are never out of range for voice calls, business emails, text-based crew emailing, electronic chart synching, updated vessel routing, weather forecasting and planned maintenance information wherever ships operate. BROOMFIELD, Colo. — A Mars mission architecture SpaceX Chief Executive Elon Musk will unveil in September will call for a series of missions starting in 2018 leading up to the first crewed mission to the planet in 2024, Musk said June 1. In an on-stage interview at the Code Conference, run by the technology publication Recode in Rancho Palos Verdes, California, Musk repeated earlier comments that he would announce his architecture for human missions to Mars in September at the International Astronautical Congress in Guadalajara, Mexico. That plan would start with the uncrewed launch of a Dragon spacecraft in 2018 on a Mars landing mission dubbed Red Dragon. SpaceX announced April 27 it would fly that mission working in cooperation with NASA, who will provide technical expertise but no funding in exchange for data from the spacecraft’s Mars landing attempt. Scott Scheimreif, executive vice president of government programs at Iridium Communications, has joined other executives to discuss new positioning, tracking and navigation technologies with Investorideas.com, ExecutiveBiz reported Friday. Investorideas.com said Thursday ABI Research‘s Patrick Connolly andGopher Protocol‘s Danny Rittman also participated in the discussion. “Compared to [global navigation satellite system] signals like GPS, Iridium signals have much higher raw signal power as seen by a receiver on Earth, making them attractive for use in location applications where GNSS signals are obstructed, for example deep indoors,” Scheimreif said. Following satellite capacity and equipment purchases with Eutelsat, Spacecom, Hughes,SES and Gilat, Facebook has now joined forces withMicrosoft to build new terrestrial telecommunications infrastructure in the form of a subsea cable across the Atlantic Ocean. Named Marea, the cable will use eight fiber pairs to yield an initial estimated design capacity of 160Tbps — the highest capacity ever to cross the Atlantic, according to Facebook. Telxius, Telefonica‘s new telecommunications infrastructure company, will operate and manage the 6,600 km cable, which will be the first to connect the United States to southern Europe, from the data hub of Northern Virginia to Bilbao, Spain. The cable will then connect to network hubs in Europe, Africa, the Middle East and Asia. Telxius will serve as the operator of the system and sell capacity as part of its wholesale infrastructure business. Orbital ATK conducted a full-power “hot fire” test of the upgraded first stage propulsion system of its Antares medium-class rocket using new RD-181 main engines on May 31. Initial indications are that 30 second test, which took place at Virginia Space’s Mid-Atlantic Regional Spaceport (MARS) Pad 0A, was fully successful. The primary goal of the test was to verify the functionality of the integrated first stage, including new engines, modified Stage 1 core, avionics, thrust vector control and pad fueling systems in an operational environment. Orbital ATK accelerated the first stage engine transition from the Aerojet Rocketdyne-supplied AJ-26 to the RD-181 from NPO Energomash. The engine reached a number of operational milestones during the test, including full propellant loading sequence, launch countdown and engine ignition and shut down commands, as well as multiple throttle settings including full engine power. The test also validated the launch pad’s operation, including propellant tanking and the use of the water deluge system to protect the pad from damage and for noise suppression.